Build numerous different builds following the instructions or make your own design! 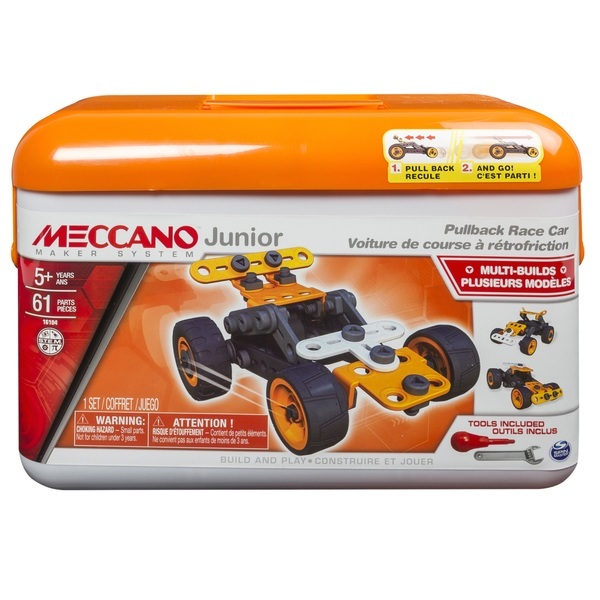 Explore the real world of engineering with the Meccano Junior Toolbox, available in two exciting themes Insects and Pullback Racer Car. (Each sold separately) Using Meccano’s real tools provided you can build the recommended models or use your imagination to create your very own ones. The toolboxes include over 60 parts, 2 real tools, (1 pullback motor in the Pullback Race Car Toolbox only) and easy-to-follow, step- by-step instructions.